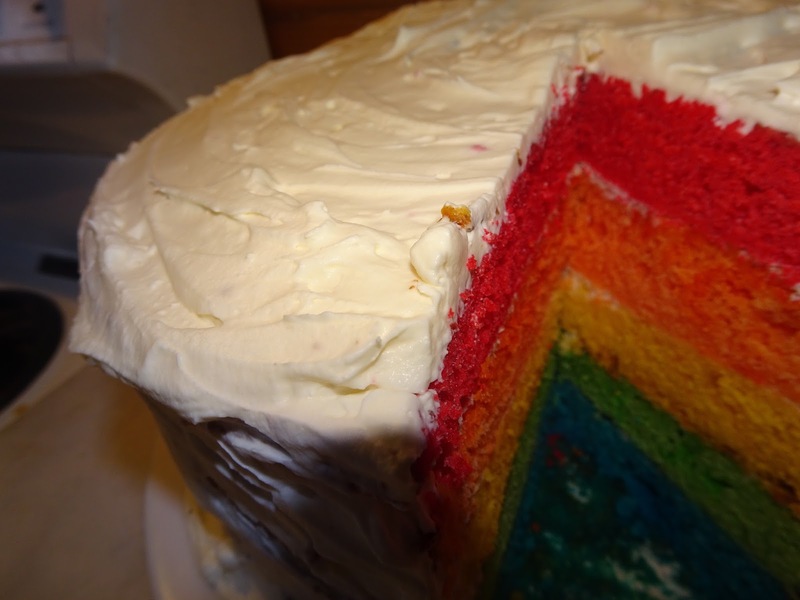 I've always wanted to make a rainbow layer cake but have never thought it would turn out this well, I am not a master baker so I promise everyone can make this. Once it is out of the oven they smell very eggy but trust me they do not taste eggy and are so nice, moist and just delicious, you have to make this because the outcome looks amazing, even I was surprised so give it a shot, try it out yourself! 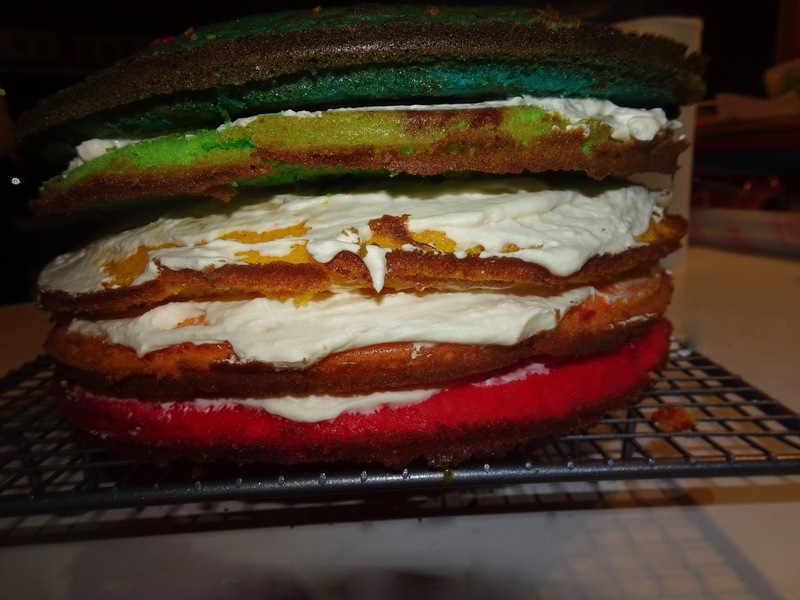 Preheat the oven to 200 degrees, grease the sides of your cake tin and cut baking paper into a circle so it will fit perfectly on to the bottom of the cake tin. 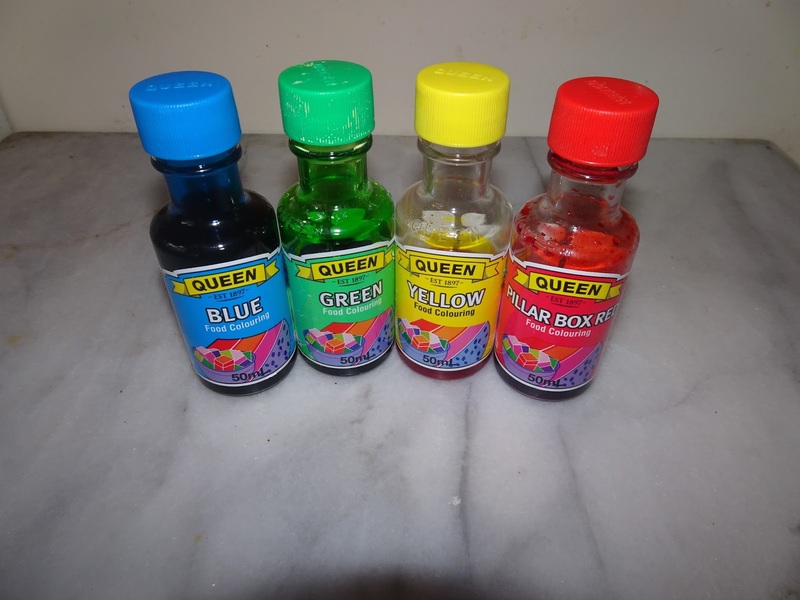 You will need to use the tin 5 times in total but the tin can be reused each time so don't worry about having to do it again and again. 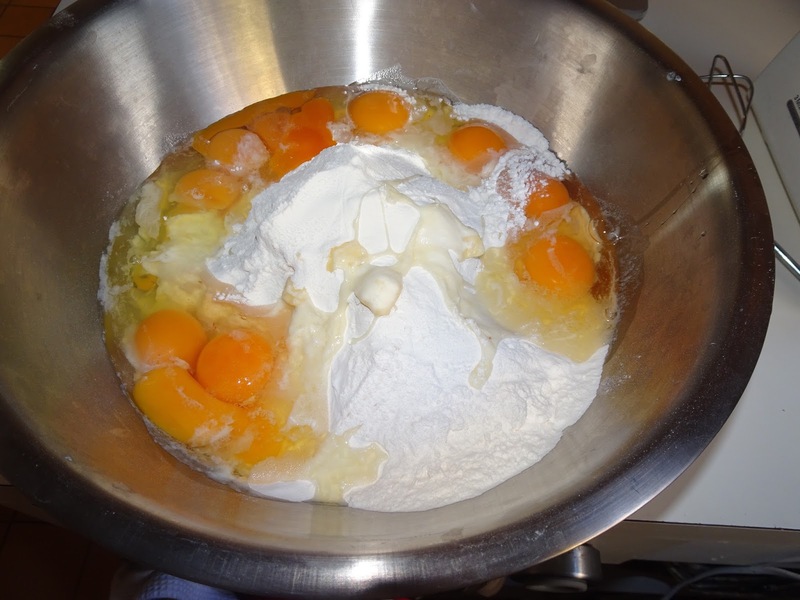 Place the butter, caster sugar, self-raising flour and the 10 eggs into a mixing bowl and whisk it together with an electric mixer, until creamy and smooth. 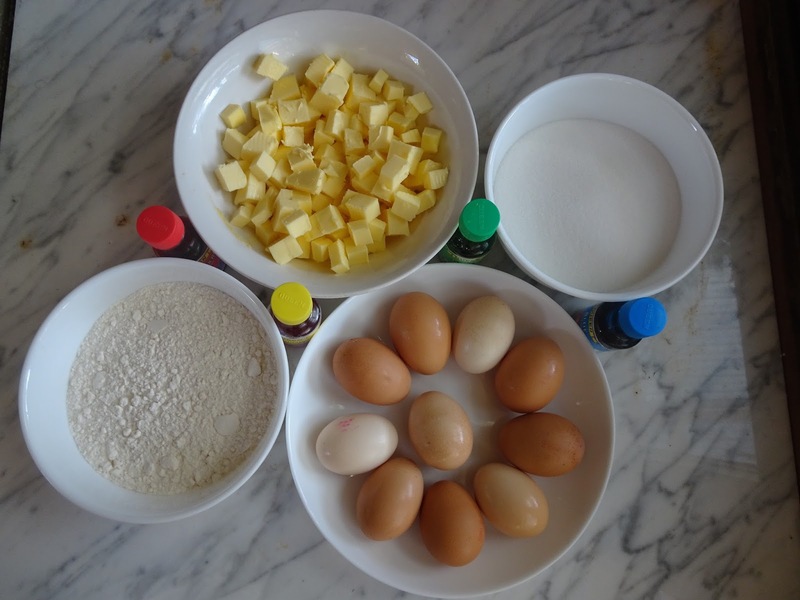 Once combined, divide the mixture equally into 5 bowls. 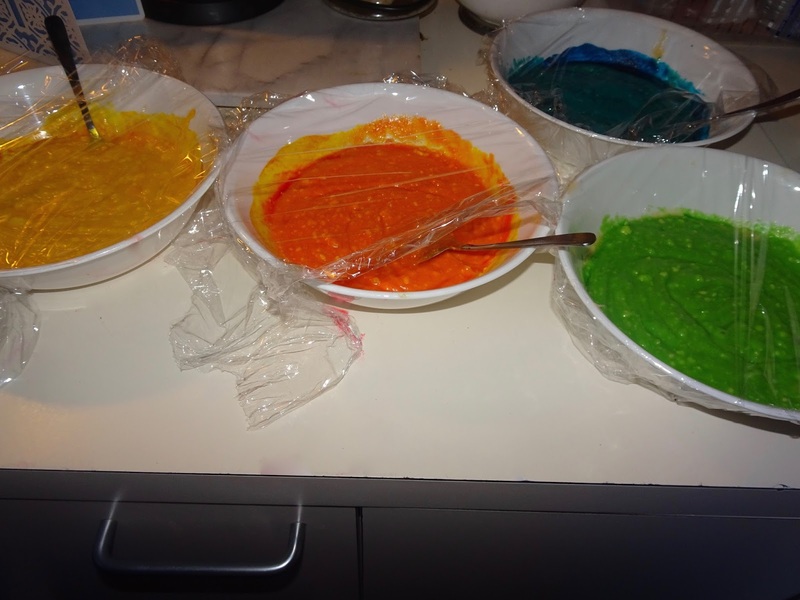 Then add a small amount of food colouring to each bowl with one red, one orange, one yellow, one green and one blue. To get the red a nice colour I had to add a few more drops. I also had to use red and yellow to get orange. Spread the mixture evenly throughout the tin, and put in the oven for 5 to 10 minuets, then take out and cool for 5 minuets before taking it out of the tin. 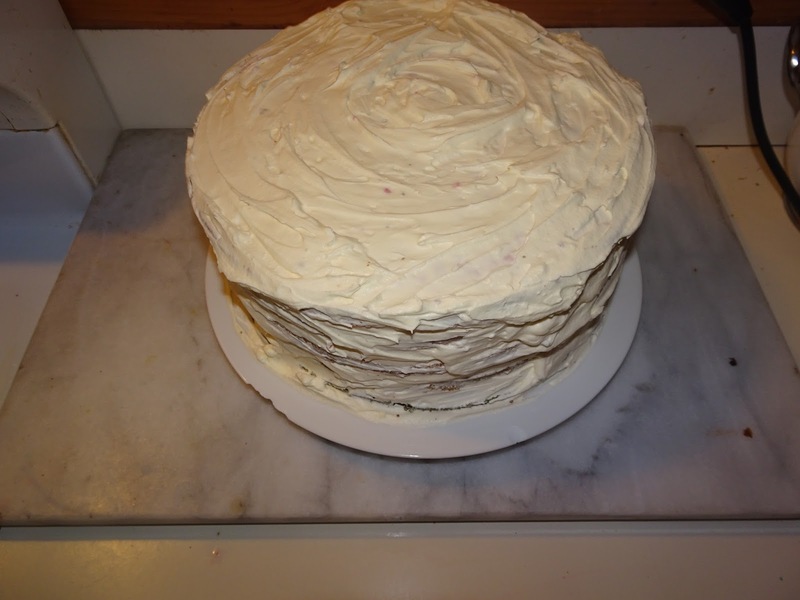 Pour the cream and 70ml of caster sugar in with the cream to make the icing, mix with electric mixer until creamy and fluffy, then put it on top of the cake, you can also put the cream in between each layer of cake. 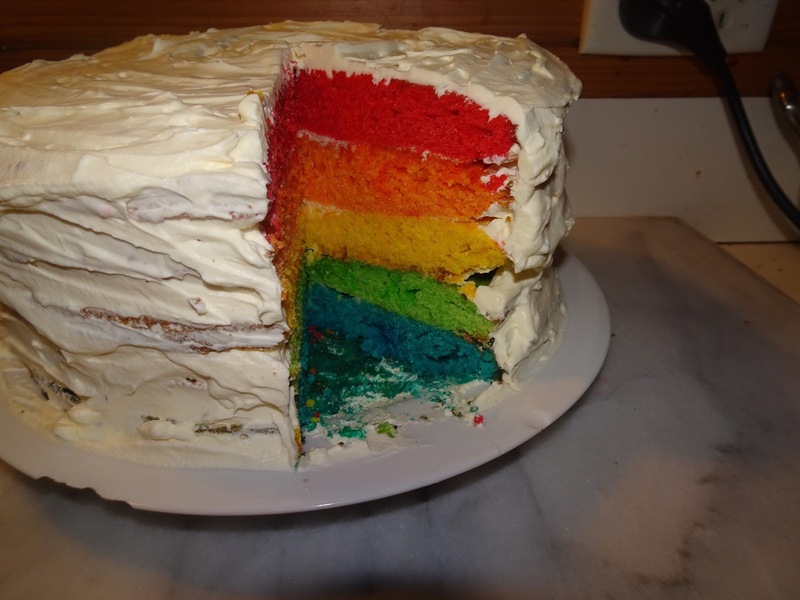 I hope you liked this cake and had fun baking, I absolutely love how this turned out I was a bit hesitant but when you cut into a cake like that, all the time pays off and is just so delicious. 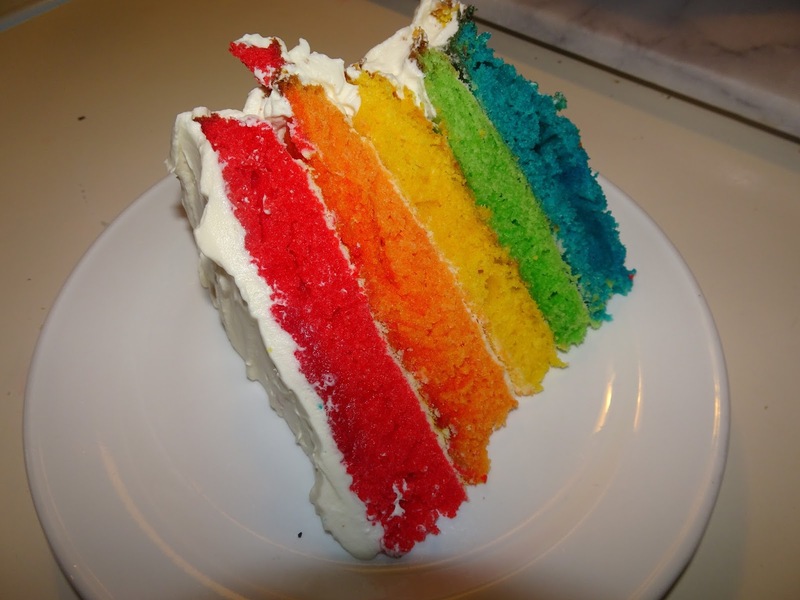 If you recreate this be sure to tweet, instagram or even post a blog with the hashtag #rainboriacake .